SMAF LTD deals with all the sausages and salami labelled in Calabrian DOPs. 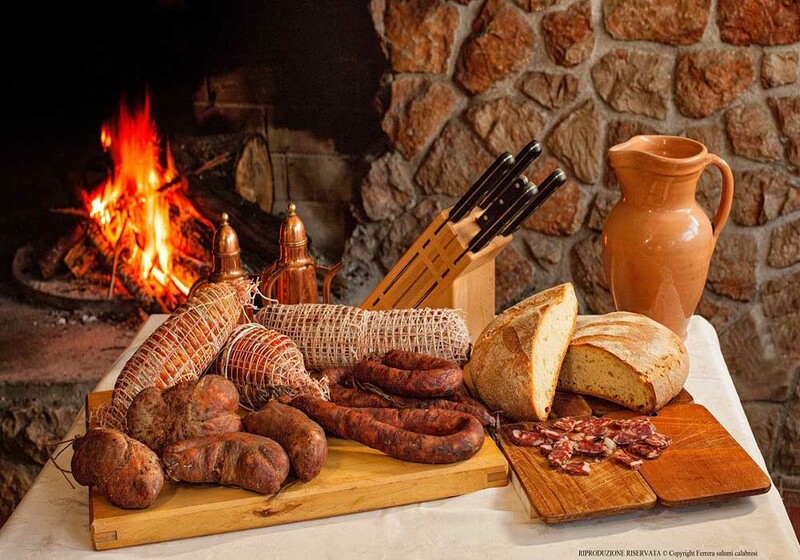 However, among the sausages, stand out the Calabrian "soppressata", seasoned salami (capocollo and hard sausage) and the famous "Nduja" (sophisticated spicy and spreadable salami). The first item, SOPPRESSATA is an Italian dry salami. 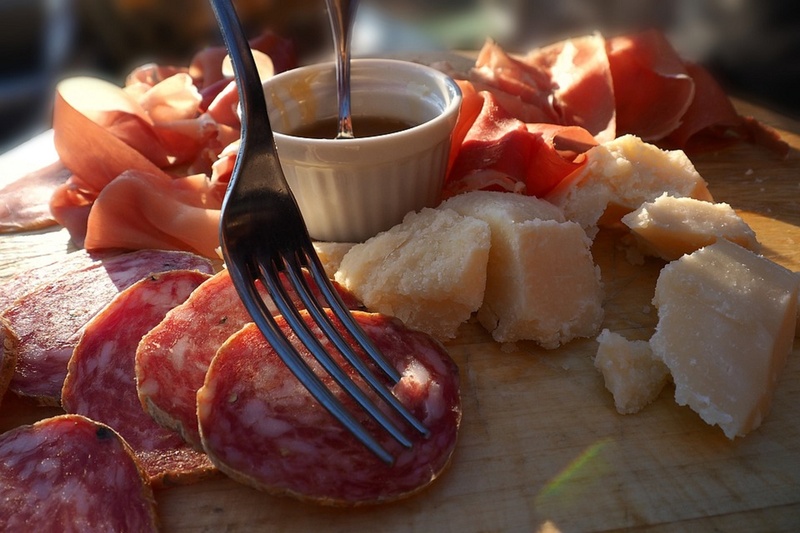 Soppressata is sometimes prepared using ham, but it never happens in Calabria. Even if there are many variations, two principal types are made: a cured dry sausage typical of Basilicata, Apulia, and Calabria, and a very different uncured salame, made in Tuscany and Liguria. In Calabria, and generally in the south of Italy, this salami is part of southern Italian cultural heritage, much more than in the north. “Soppressata di Calabria” enjoys Protected designation of origin status, as in esample that one produced in Acri and Decollatura, highly renowned. Secondly, CAPOCOLLO is a traditional Calabrian and, generally, Italian pork cold cut, made from the dry-cured muscle running from the neck to the 4th or 5th rib of the pork shoulder or neck, sometimes smoked or conserved in olive oil or flavored with cooked wine. Given that it is a whole muscle salume, its preparation seems similar to the more widely known cured ham or prosciutto. Both are pork-derived cold-cuts and typically sliced very thin. 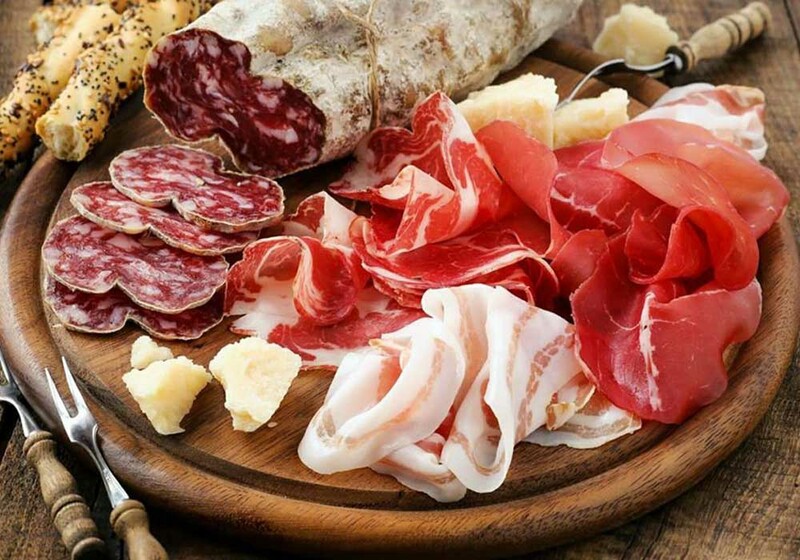 We can count, in Italy, two particular varieties, Coppa Piacentina and Capocollo di Calabria. We deal with the second, which has Protected Designation of Origin (P.D.O.) status, under the Common Agricultural Policy of European Union law, which ensures that only products genuinely originating in those regions are allowed in commerce as such. 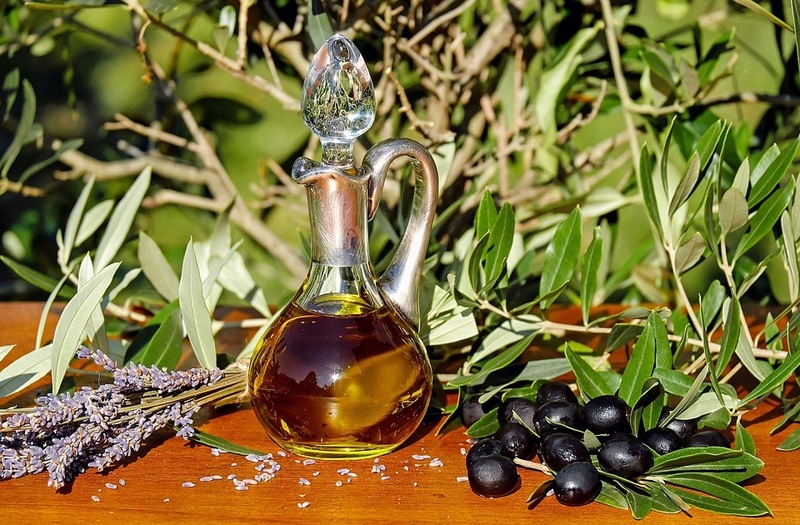 Other versions, not covered by mentioned PDO status, are simply designated as "Prodotto agroalimentare tradizionale" (P.A.T.) by the Italian Ministry of Agricultural, Food and Forestry Policies. It is the case of Capocollo del Lazio, Capocollo tipico senese (called finocchiata or finocchiona), Capocollo della Basilicata and Capocollo dell'Umbria. In any case, our well known product is 'NDUJA. 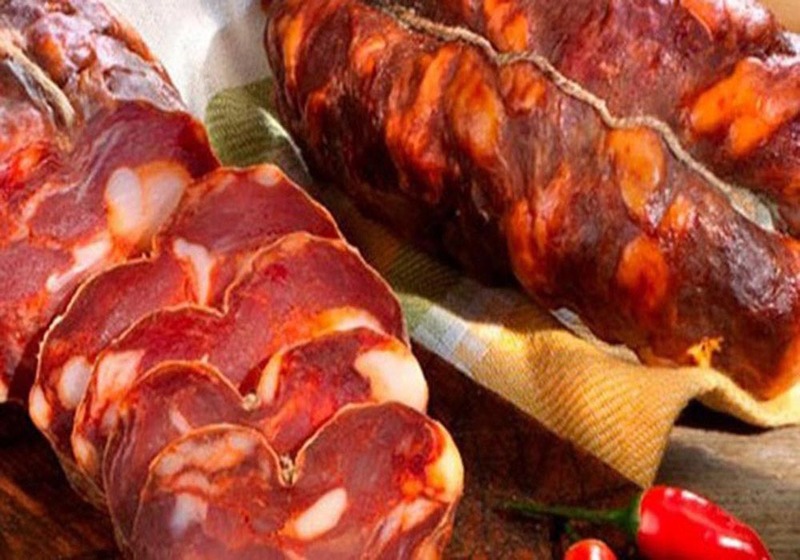 Generally, outside Calabria, is a special, spicy, spreadable pork salumi, made with shoulder and belly, ripe, roasted peppers and a mixture of spices. Our Calabrian variation derives from French andouille and is made using meat from the head, trimmings, fatback, and roasted hot red peppers. 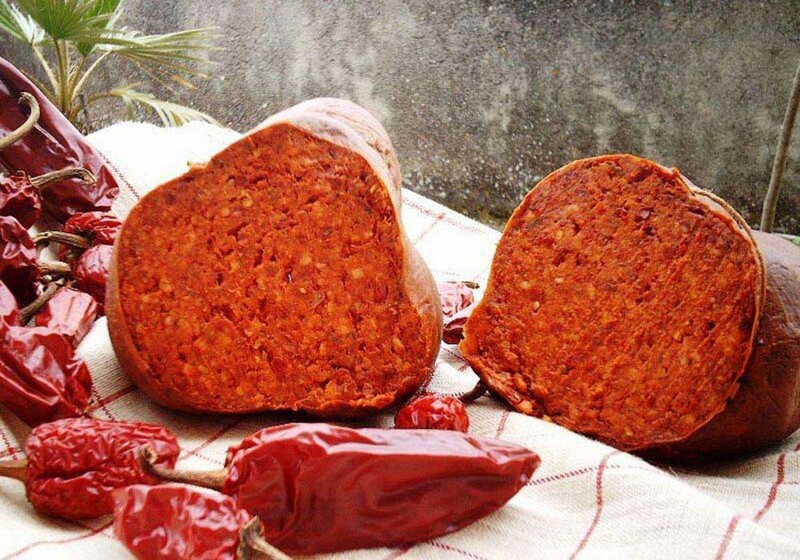 The fiery taste of 'Nduja is typical of the small town of Spilinga, where it was developed in the actual taste. It is served with slices of bread or with ripe cheese and has a unique taste, suitable for a variety of dishes. Bright red in colour with a fiery taste, our 'Nduja is delicious on a pizza or alongside medium seasoned cheeses. It also gives an incredible flavor, when you add it to lightly fried onions celery and carrot, as the basis of a tomato sauce for pasta, or just on its own with the addition of a little of the pasta water. OTOH, we have a wide variety of other CALABRESE SALAMI. All our regional coarsely ground pork salamis are mildly hot, due to a generous addition of red pepper flakes-- perfect for sandwiches and antipasto. They are pressed into a flat shape during curing. 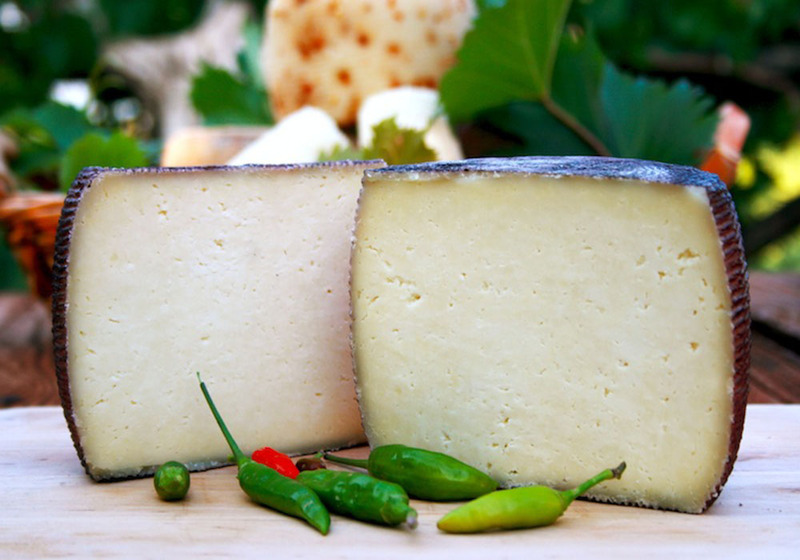 This pressing not only gives Calabrese its characteristic shape, it also gives it a wonderfully firm texture. This coursely ground meat is perfect for sandwiches or in an antipasto. Serve with crackers for a game day appetizer as well. Other example of calabrese Salami is “Cervellata Calabrese”, a Pork Salami or Sausage flavored with white wine and hot peppers. Another is “Pancetta di Calabria DOP”, a Pork Salami, part of many Italian recipes and widely used in the preparation of fried. It can also be consumed raw or barely heated, sliced thin, more or less, along with salt bread, baked in a wood, a typical local tradition. 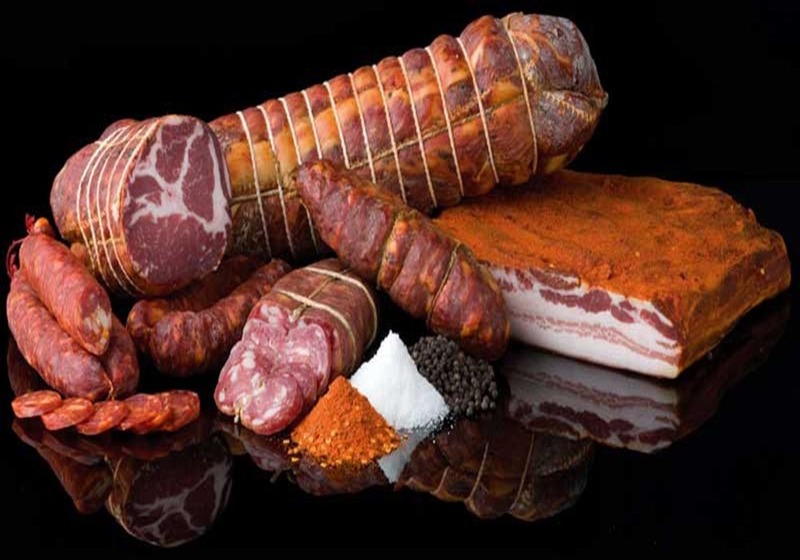 Another one “Salsiccia di Calabria DOP”, a Pork Salami, which, according to an ancient recipe, is made with giblets and fatty parts of pork mixed with hot peppers, bagged, then smoked at first and then cured. All these salami from Calabria dates to the period of Greek colonization of the Ionian coast and the cultural glories of Ancient Greece. Historical records describe processing of pork from the seventeenth century. SMAF Associates LTD operates in Calabrian's original salami sector as a broker - national and international "Broker". Our activity towards the original Calabrian sausages starts from a long experience in the agricultural products market, in the activities of buying, selling, import-export, logistics, sea-to-land transport, insurance and customs issues. 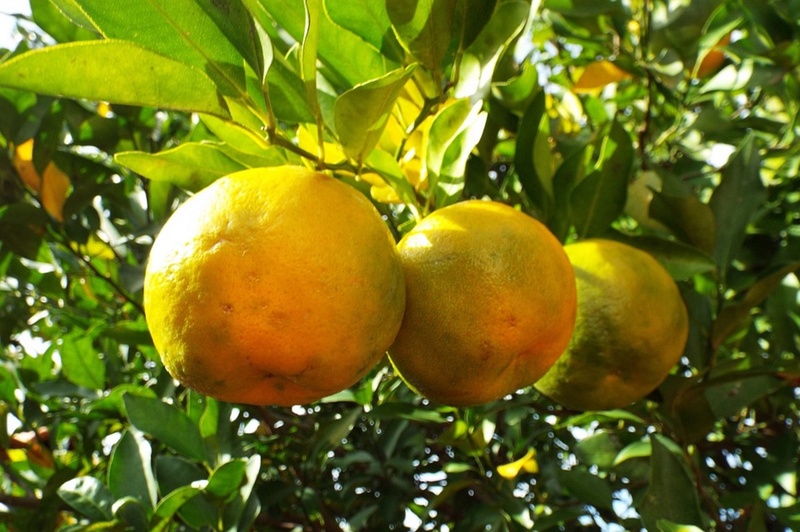 Our brokerage deals with import-export to USA, Canada, Europe and Eastern countries, from Calabria, Italy, for quality fruit and vegetables of the best brands. We give the right importance to the original Calabrian quality sausages by taking care of their transport directly from the manufacturer. We guarantee our business partners the utmost seriousness and we have clients of great international prestige. Among the other brokerage countries: Argentina, Australia, Belgium, Brazil, Canada, Chile, Chile, China, Egypt, Ethiopia, Thailand, Turkey, Ukraine, Hungary, USA and Vietnam. Our company is leader in the distribution of Calabrian original salami. The presence of liaison offices in Calabria ensures us a strategic position for the supply and distribution of goods. We are the privileged interlocutor for the Commercial and Collective Catering World and all the business forms that need a high level of service as well as a constant and customized quality standard.